Mobile penetration continues to accelerate globally compared to tablets or desktops. While not everybody needs a tablet, laptop or desktop, majority will need a mobile phone to communicate. And with smartphones being so readily available and affordable, getting connected to the internet is easy. According to Laure de Carayon, founder and CEO of China Connect, there are 520 million smartphone users in China where smartphone penetration is expected to reach about 47% of the population next year. Mobile shopping jumped 251% from third quarter 2013 to same period 2014. The mobile advertising market is expected to reach $4.1 billion in 2017 compared to $2 billion in 2014. Those figures only reflect China. If we take into account the other emerging countries with huge population like India, Brazil, Russia and Indonesia, you can see the crazy potential in mobile ad spending which companies are shifting their focus to. This is also one of the main reason that Google is paying more attention to mobile friendly websites when it comes to determining their search rankings. 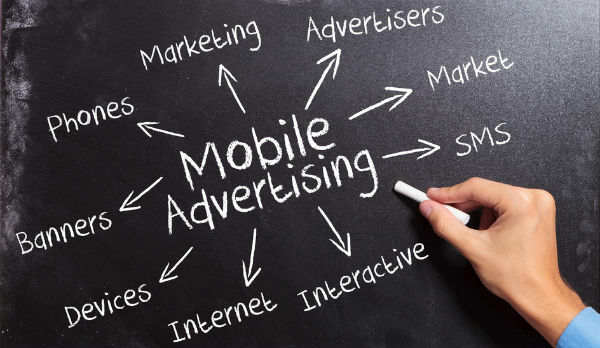 Mobile ad spending is expected to hit a whopping $28 billion in the US this year according to statistics from eMarketer. You can see clearly from the graph that mobile digital ad spending will overtake desktop ad spending significantly due to consumers choosing to spend more time on their mobiles compared to their desktops. Consumers aren’t going to waste time reading lengthy emails on their mobiles. What mostly captures their attention are images. If you need help creating any of these, please let us know. Is Your Business Targeting Emerging Markets Or Over-Saturated Ones?